Google Remove Right Hand Side Ads - But How Will It Impact Your SEO Strategy? No doubt you’re already aware that Google is removing ads from the right-hand side of its search results pages, but what does it mean for you, and how will it effect future SEO campaigns? Why are Google removing the ads? 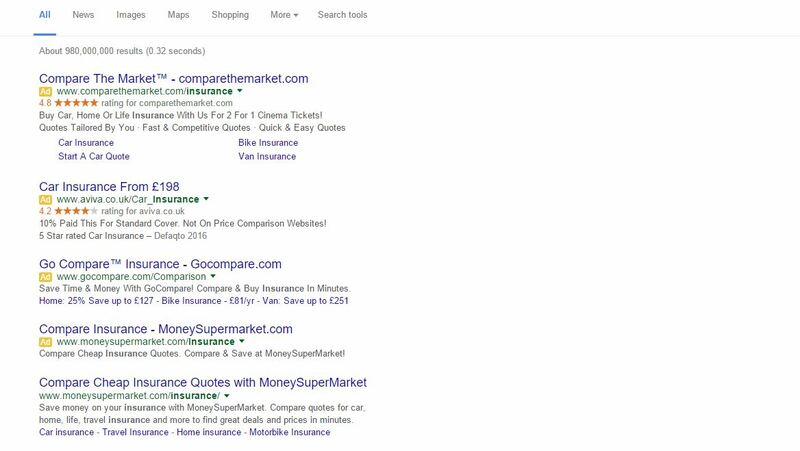 As of February 22nd 2016, Google are no longer showing paid ads on the right hand side of the results page. Instead they will now be displaying up to four text ads above the organic listings and a further three ads at the bottom of the page. The main reason for the change is said to be user experience – the similarity between desktop and mobile makes for a more seamless cross device experience, coupled with the recent stats which show that mobile searches are beginning to overtake desktop searches, the move makes for a similar user experience across both. Removing the ads will also allow for a less cluttered search results page (or SERP, as they call it! ), creating a better experience for the user. As a result of this change the number of paid ads which will show on a search page will drop from as many as 11 to a maximum of 7 results. Due to this, Google anticipate that cost per clicks may increase as the top positions are now going to become more valuable, however they have mentioned that until there is more data related to the changes, the discussion surrounding cost per click increases is all speculation. Google have stated that four ads will show instead of three at the top of the page when the queries are highly commercial. Example queries from Google include ‘hotels in New York’ and ‘car insurance’. We anticipate that the Adwords accounts affected most by these changes will be accounts which are using a high majority of text campaigns, as the changes do not apply to shopping campaigns. There will also be an impact felt on accounts which include a large number of generic terms, as this type of term is already expensive to run due to being highly competitive. If an AdWords account is heavily based on shopping we do not anticipate that you will see a massive effect, as shopping ads will be shown down the right hand side of the search results page. As well as the obvious changes to paid campaigns this change will also have an impact on organic listings. First of all, for many terms the first organic result will be in position 5, after the ads. This means if you are targeting keywords organically, you need to be more aware of how many ads are showing above, and potentially aim for keywords which are showing less ads. There is also a lot of speculation that online advertisers previously focusing on paid adverts will now put more resource into SEO due to the paid spots becoming more competitive. This would mean the organic space would become much more competitive so more work would be required to maintain positions.